WHEN YOU LIVE AT ST. FRANCIS, YOU ARE MORE THAN A RESIDENT, YOU ARE A VALUED MEMBER OF OUR FAMILY. St. Francis is a unique residential community for seniors who cherish their independence located in Denville, New Jersey, in the heart of Morris County. We are situated on a spacious 20 acre park-like setting offering a peaceful atmosphere where you can enjoy scenic walks along our tree-shaded paths and the opportunity to connect with nature in our beautiful gardens. Our covered rooftop patio, screened wrap-around porch and new three and four season porches are ideal for reading, relaxing or socializing any time of the day or evening. We have been providing trusted service for over 120 years. We offer an independent living community where you can thrive. We are a tight-knit community that supports each other with a family-oriented atmosphere. Our dedicated trustworthy staff has been serving our residents for many years—80% have been with us for 10 years or more! We are a non-profit property focused on serving the needs of our residents and not the bottom line. You can choose from a variety of comfortable independent living options to meet your specific lifestyle and needs. Our community offers 58 private rooms and 63 apartments with each residence featuring large windows with abundant natural light and a spectacular view of our beautifully landscaped grounds. 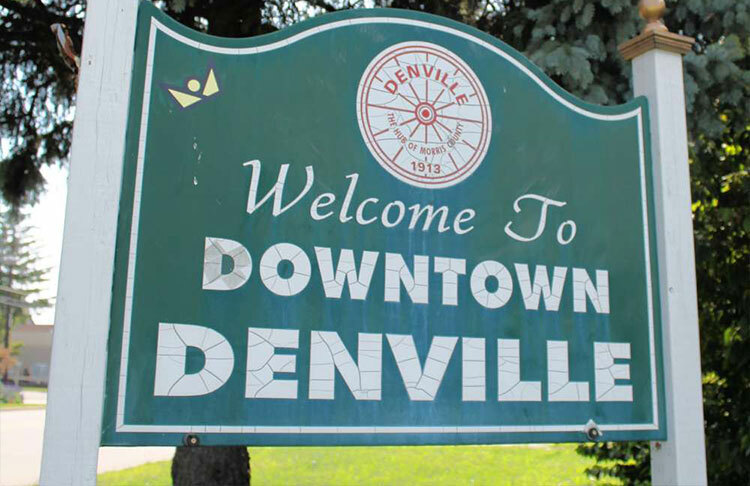 Our community is conveniently located just a short walk away from downtown Denville where you can enjoy a great selection of excellent restaurants and shop at a variety of quaint boutiques. Access to quality healthcare is also available with Saint Claire’s Hospital located less than a mile away. We offer a wide variety of amenities and services to support your independent lifestyle and enhance your quality of life including dining services, transportation, 24-hour concierge service, smoke-free environment, free parking, WiFi network, library, hair salon and wellness center. A range of activities and events are also available for you to participate in such as movie screenings, games, exercise classes, concerts, educational lectures, ice cream socials and holiday parties.